A $208 savings especially for Wellness Online Users! Learning takes place via phone and computer from the comfort of your home or office via nine online classes. This interactive program is taught by John Staples, EFT Master Practitioner and HeartMath® Group Trainer and Personal Mentor. Two Methods for the Price of One! You will learn important elements of the resilience model, key science underlying the effectiveness of the HeartMath® System, techniques and tools for practical, on-the-go application and how to effectively use them in your work with others in a variety of contexts. We hope you will join the many people who have found the Building Personal Resilience program a fresh approach for transforming stress and enhancing the quality of lives – both their own and those of others. After realizing that his true-life purpose was to serve others, John became a certified EFT Universe Practitioner and discovered Silvia Hartman’s AMT EFT protocol, before ultimately being certified as a Trainer of Trainers for the AMT. For the last several years, he has studied HeartMath and incorporated it into his energy practice by combining it with the various methods he was already successfully using. He became a Certified HeartMath® Group Trainer and Personal Mentor, and began to focus on helping his clients be in charge of their own emotions and understanding how to prevent energy blocks from re-occurring before clearing the past traumas trapped in their physiology. He discovered that by combing HeartMath® techniques with Silvia Hartman’s Positive EFT, it was easier for his clients to take charge of their emotions from moment to moment. 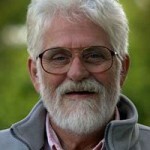 HeartMath® and Positive EFT proved to be a powerful combination in John’s practice. John is currently working with the Institute of HeartMath® and Alternative and Complementary Healthcare Professionals (ACHP)– and is now offering you this unique learning and certification experience, so that you too can learn to incorporate these unique and powerful tools into your practice. To sign up to become a Certified ACHP Heart Positive Practitioner & to receive your bonus Positive EFT Facilitator & Practitioner, please fill out our registration form, or contact us for more information. For additional information or help in applying for the HeartMath® Certified Coach/Mentor Program, call toll free (U.S.) (800) 711-6221 or e-mail Katharina Pruneau at kpruneau@heartmath.org. If you are an employee of a company and are paid a salary for seeing clients, there may be an applicable rate difference for you – your company can contact ACHP at 610-627-1140.